In 2015, blind ultra runner Jason Romero decided to take on a challenge called the Puerto Rico 150+ or as he calls it, ‘The monster of the Caribbean’. This brutal challenge takes runners 183 miles from the easternmost to the westernmost point of the island and has to be completed in 60 hours or less. Eight elite runners were invited to take on the course, only four finished. Running Vision is the debut documentary film directed by Taylor Shain of an inspiring journey that follows Jason on this challenge of a lifetime. Team EtchRock were lucky enough to get a preview of the film, which is due for release on The 21st April, and without trying to give too much away about it, we’ll give you a little preview. Running Vision is one of few documentary movies that have ever elicited a direct response from me. The second the finishing credits started rolling; I was digging around in the cupboard looking for my running shoes. 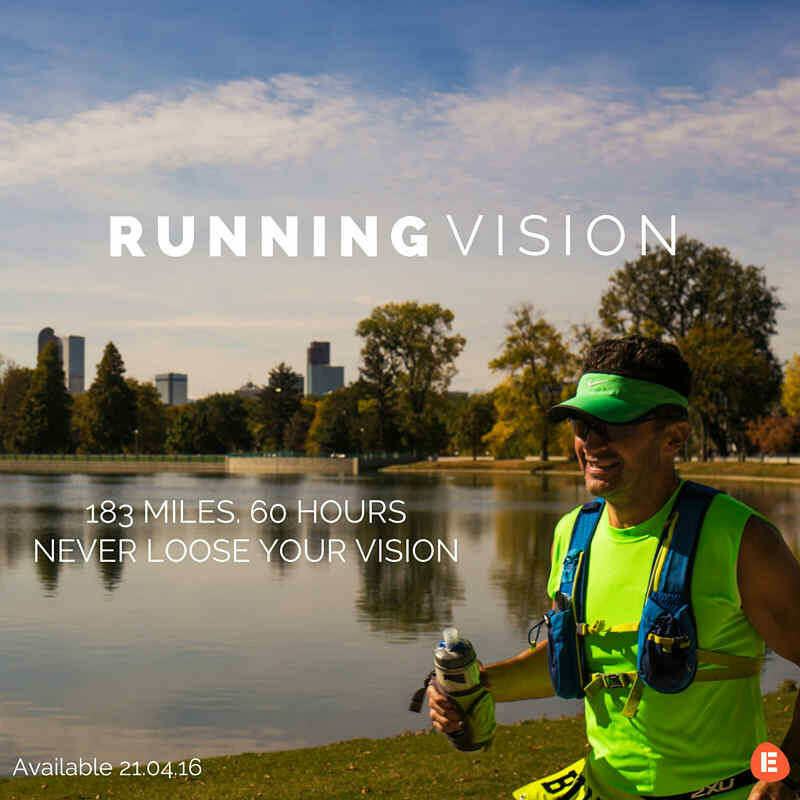 I regularly seek out inspiring stories in hope of a little extra motivation but none so far have had the same effect as Jason in Running Vision. We learn early on in the movie that Jason suffers from a degenerative eye disease known as retinitis pigmentosa which he has suffered with since childhood. As you can image, this comes with certain limitations to a runner. What Running Vision does a great job of, is portraying Jason as an ordinary man, just as you or me. It is easy to forget that Jason has a sight condition because of his infectious enthusiasm for running and for life. As the movie goes on, we learn more about the challenges that Jason tackles every day but it becomes quickly apparent that he doesn’t let his sight impairment stop him in any endeavour, running or otherwise. He will fall, he will bump into things, but he will always get back up. 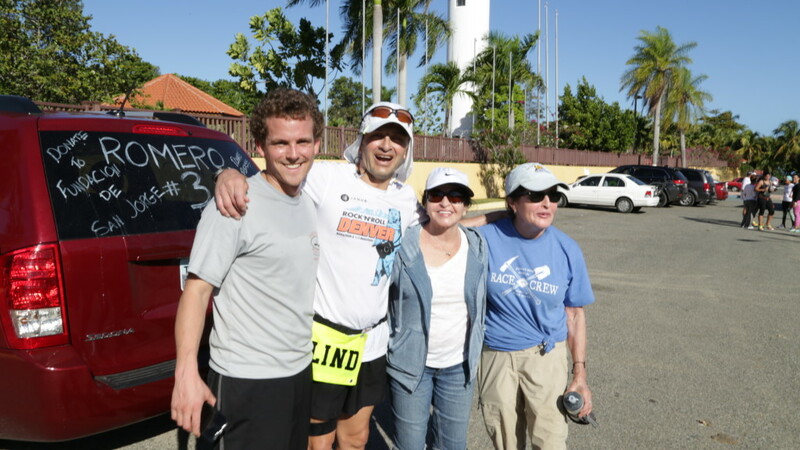 As we follow Jason’s challenge through the highs and lows as he runs non-stop across Puerto Rico, we see where he draws his motivation from and how he deals with adversity. Running Vision paints the picture of a man who is easily relatable. Even though I cannot imagine what it is like to run under the conditions that Jason runs with, we can all relate to adversity. The more we find out about Jason, the more I feel inspired that I too can take on the toughest challenges. 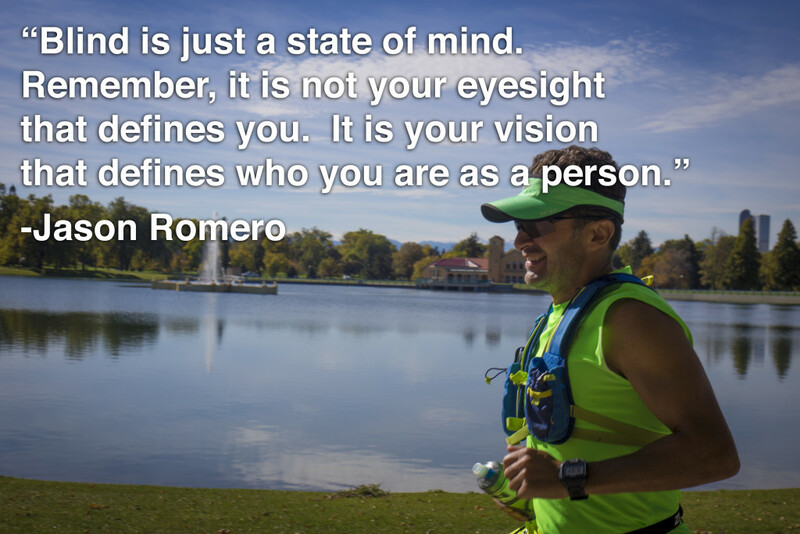 Running Vision is an awe-inspiring movie that will touch the heart of any runner. Jason attitude toward life is all about defining his own standards; the word ‘can’t’ isn’t in his vocabulary and he refuses to be told he can’t do something. The movie isn’t so much about the challenge at all, it is about overcoming adversity, preserving and determination, and no one breaks the mould more than Jason Romero. Taylor is going to be creating his own Virtual Challenge on EtchRock too, each entrant will receive a voucher code for a 50% discount off Running Vision and the lucky winner will receive a free copy. All you have to do is cover the same distance as Jason, 183 miles. Don’t worry; you will have more than 60 hours to complete the challenge! We are giving you one month to cover the distance so it’s time to lace up those running shoes! We will be releasing links for the challenge shortly so be sure to subscribe to our blog for the latest updates!